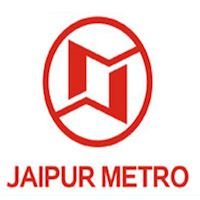 Online Application Details for Jaipur Metro Rail Corporation Limited JMRC Recruitment of 3 General Manager and 1 Joint General Manager is given below. Application form and duly attested documents are to be sent to Chairman & Managing Director, Jaipur Metro Rail Corporation Ltd., Khanij Bhawan, Tilak Marg, Jaipur - 302005. In envelope super scribed with 'Application for the Post of Post Name'.